A property owner or manager can take several measures to clean up after a pipe breaks at a building in Alexander, NC. The following four steps can reduce the extent of damage due to bursting pipes and start the drying process as soon as possible. The most effective way to limit damage before a plumber arrives to fix broken pipe problems is to shut off the water supply valve. This valve is located where pipes enter the building, near the water meter. 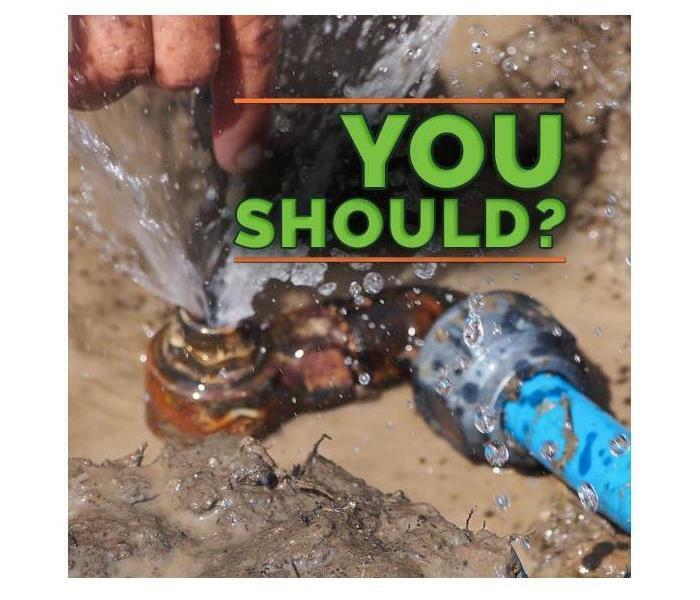 Turn the valve to stop the flow of water and then turn on a faucet to relieve pressure in the lines and reduce the amount of water emitted from bursting pipes. As soon as a plumber fixes the broken pipe, it is time to start mitigating damage. Removing as much water as possible is the most important step. Non-professionals may have access to a mop or wet vac and the option to rent a pump. For the best results, a building owner or manager should rely on damage mitigation professionals who have specialized expertise and equipment. Next, a building owner or manager should promote drying by increasing ventilation. A damage mitigation service can provide air movers or fans to ensure that the affected area will dry quickly. Reducing residual moisture is critical for preventing secondary damage such as corrosion, rot or mold. Experts recommend using a dehumidifier to maintain relative indoor humidity levels between 30 percent and 50 percent. Depending on the amount of water emitted from bursting pipes, it may be advisable to arrange for professional cleanup and drying. For damage mitigation expertise and access to equipment that can accelerate the water extraction and drying process, a property owner or manager should contact professionals who specialize in water damage in Alexander, NC. How Does a Vendor Program Work? Insurance companies rely on vendor programs to identify trusted service providers. These programs have requirements to ensure that work meets the highest standards. An insurance agent may continue to use the same mitigation and restoration service as long as this company is reliable and completes high-quality work. Find out more about some of the standards and benefits of a vendor program. Insurance companies want to make sure that service providers are insured and qualified to complete jobs. Some services also maintain internal standards. 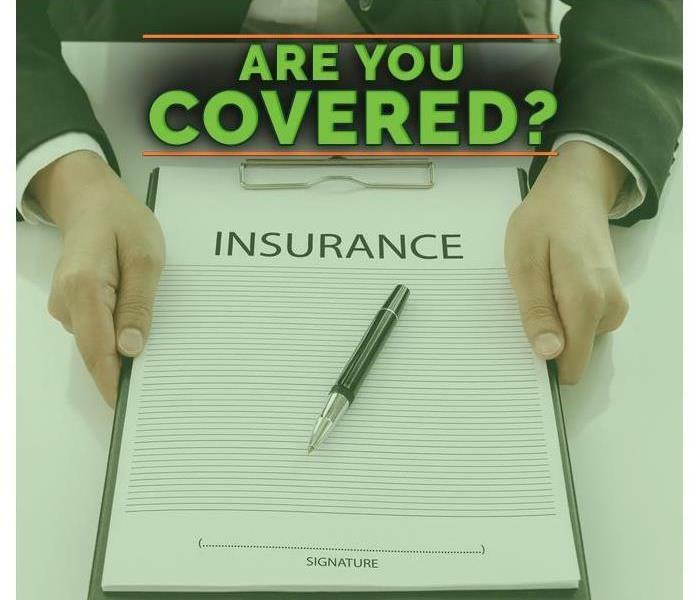 SERVPRO franchises must satisfy 21 requirements of a Participation Agreement to receive insurance jobs. Insurers prefer to work with companies that have a track record of providing exceptional service. Companies in a vendor program tend to have worked with insurers in the past and achieved satisfactory results. An unreliable service is unlikely to remain in a program. All of this information should be readily available to insurers. The Claims Information Center makes it easy for agents and adjusters to access this data online at any time, which may make it possible for claims to be settled more quickly. These are a few broad aspects of vendor programs. Each insurer is likely to have slightly different priorities and requirements for Preferred Vendors. An insurance agent, adjuster or insured client should select a mitigation and restoration company that meets all of the applicable vendor requirements for coverage to complete a commercial restoration job in Leicester, NC. What Happens to Wet Building Materials? Wood floor damage in a Candler,NC home. Whether you’re doing major renovations or making small adjustments to your home in Candler,NC, swelling wood and other signs of water damage on building materials can bring a project to a halt. However, knowing what items can be saved and what items should be replaced can help you save money and time. Since drywall is made up of such an absorbent material, it’s common for the plasterboard to retain moisture after a leak or flood has occurred. If the drywall remains wet for a long period of time, mold growth is likely to occur, and boards with mold should be replaced. However, in most cases, if water is thoroughly and carefully removed from drywall in a timely manner, the plasterboard can be saved. When a cabinet or subfloor becomes wet, the wood that makes up these items often begins to swell. Swelling wood occurs when thin pieces of wood or wood-like materials absorb water. Subfloors engorged with water are more likely to break and are not structurally sound; likewise, cabinets that are swollen with water are at risk of deteriorating. 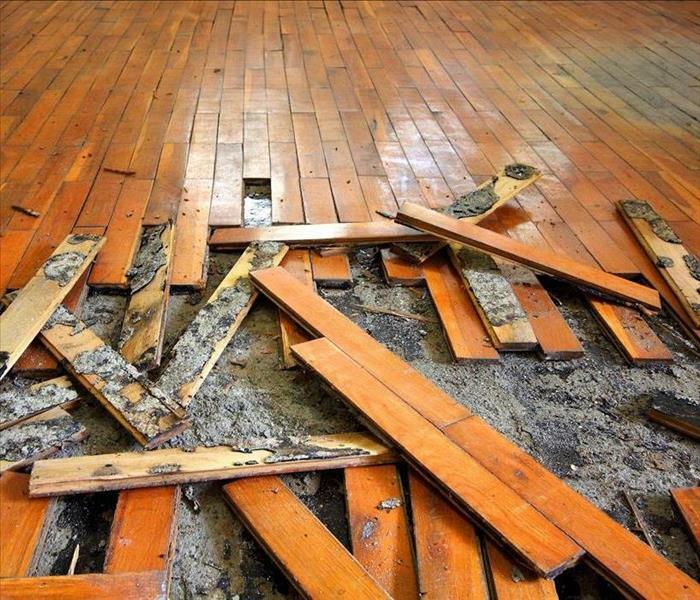 Water damage restoration experts can often help to remove and replace damaged cabinets and subfloors. Hardwood floors can make a statement in a home, but they are often one of the first things to become damaged during a flood. Fortunately, hardwood floors can usually be saved if they are quickly dried off. Unlike subfloors, hardwood floors are unlikely to become swollen in a short period of time. After drying off hardwood floors or other surfaces, you can focus on seeking out professionals to fix the supply line or make the water pipe repair in order to prevent water damage from reoccurring. Drywall and hardwood can withstand moisture, but swelling wood in cabinets or subfloors will likely need to be replaced if it becomes wet. With an understanding of how certain materials react to water, homeowners can protect the various surfaces in their homes. 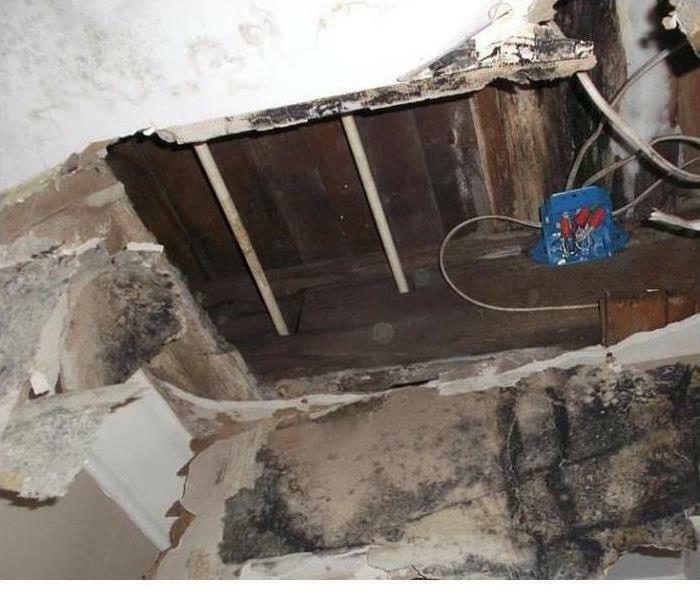 Smelly, destructive and seemingly everywhere, mold is one of the great frustrations of owning a home. 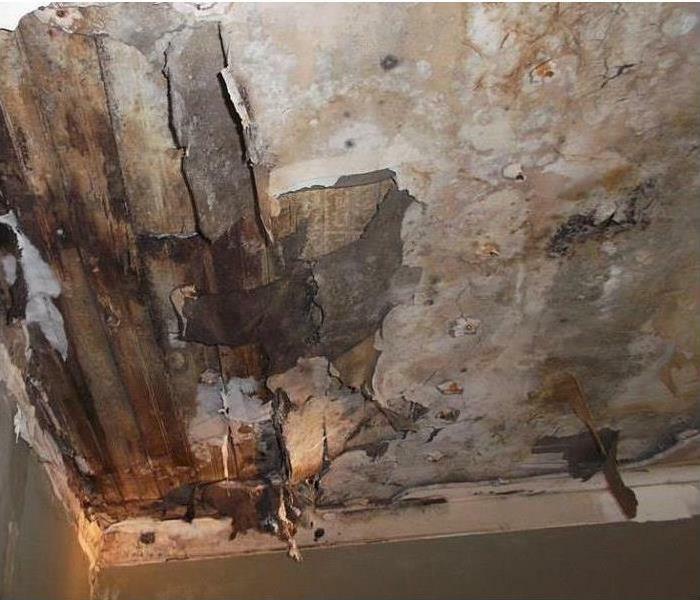 Unfortunately, no matter how pristine your home is, there’s a chance that it can fall victim to spreading mold. But just how does it spread? Figuring this out can be the first step in minimizing mold in your Asheville, NC home. Now you know what and where mold typically is. How does it get there? Molds multiply via tiny spores that are invisible to the naked eye. These lightweight spores travel through the air, land on wet areas and breed. They prefer to grow on organic materials, which can include things like paper, leather, dirt and soap scum. They also like temperatures between 77 and 86 degrees. That means that keeping your environment warm and damp contributes to spreading mold. Stopping black mold in its tracks can be as simple as finding and eliminating the source. Inspect your home for moist areas, paying attention to areas around windows and beneath sinks, as well as enclosed areas like attics and basements. Remove moisture if you can or work with a cleanup company if there’s a bigger moisture source such as a leak. Mold is an inconvenient part of life. Fortunately, there are ways to stop spreading mold in your home. Find and eliminate water sources or work with a mold remediation company to remove moisture and shut mold down before it takes hold. SERVPRO can respond immediately to any disaster. Whether homeowners have had their home in Enka, NC affected by fire, flooding or storms, the damage that occurs as a result can be disastrous. A restoration company that has 24-hour availability and can respond quickly can benefit a home in many ways. After a home is damaged, receiving an accurate assessment of what has been affected can be useful to both homeowners and insurance adjusters. Knowing what has been damaged and what likely needs to be replaced can ensure the insurance adjuster provides a homeowner’s insurance company with the relevant information. Once the claim has been made, the process of restoring the home can begin sooner rather than later. If a restoration company does not respond quickly to a disaster, the home that has been affected can become increasingly damaged over time. Water damage can cause mold to grow, structures can become weak and items that could have been restored with earlier intervention may need to be replaced. A restoration company that has 24-hour availability can respond immediately to a disaster and can ultimately mitigate the amount of damage that a home sustains. Having confidence in the company that is restoring a home is important for all parties involved. The process of restoring a home can be complex at times, and when homeowners, insurance companies or insurance adjusters have questions, receiving a fast response is often important. Whether a homeowner wants to know how their belongings will be restored or an insurance adjuster requires documentation, a restoration company that is always available ensures no question will be left unanswered. With a quick response and 24-hour availability, a restoration company can provide adjusters, insurance agents and homeowners with accurate assessments while mitigating the damage to a home and answering any questions throughout the restoration process. Working with a preferred vendor that is always open can make the restoration process much easier. In the event of a house fire, the top priority should always be getting everyone in the house out safely. Although you’ll surely want to save valuable and nostalgic items, it is important to evacuate the home and leave it up to a fire restoration company to preserve what they can. The best way to ensure the safety of all household members in your home in Candler, NC, is to prepare with a thorough fire escape plan in place. Make sure you have all the required fire alarms installed with plenty of battery life. Ensure any window bars include quick- release mechanisms. 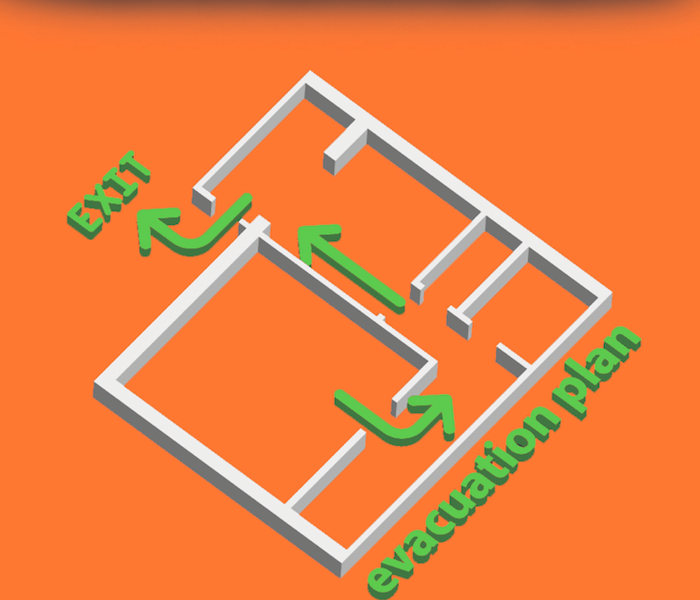 Your next step is to develop a fire escape plan for everyone in your home. Identify a meeting place outside and map out the best method of exit for each individual. It is smart to also come up with a backup plan in case the first exit is blocked. Assign someone to each infant, pet, disabled person, or elderly person. Make sure everyone knows what emergency number to call, especially the fire department’s number. After discussing the plan, have everyone test out the plan and make changes as needed. Preparation is key when it comes to safely escaping a fire. Making a fire escape plan that everyone in the family knows is the best way to help everyone make it out of a house fire safe and sound! A leaking water heater is always an inconvenient problem, especially when you were hoping for a warm shower after a chilly day in Candler,NC . 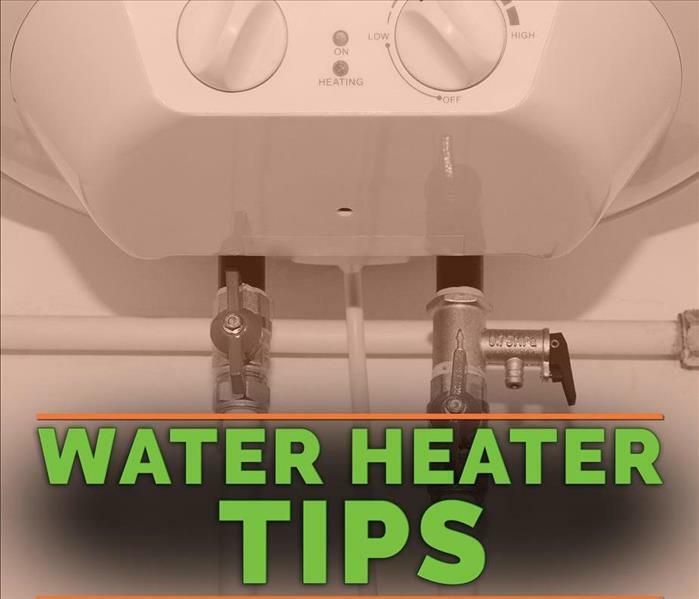 Whenever they take place, however, when water heaters break, you need to act immediately. Take the following steps to prevent expensive damages. If you have a gas water heater, the shutoff switch is probably a dial at the top of the thermostat. If you have an electric appliance, use the circuit breaker. Turning off power to the broken water heater is the best way to ensure safety for yourself, your family, and your home. 2. Shut off the water supply. You should be able to find a water valve on your failed water heater. Turn it to the right in a clockwise motion until the water stops leaking (or gushing) out of the appliance. If the valve at the heater doesn't stop the water, use the main water supply nozzle for your home. 3. Contact professionals for repairs and cleanup. There are many potential causes that can lead to a leaking water heater. Even if you're confident in draining the heated water, checking and operating the pressure relief valve, and rinsing out your tank, you may not recognize what caused the failure in the first place. Additionally, if you contact experienced water heater repair professionals, you may also have access to services such as preventing future trouble or repairing parts of the home affected by the flood of water. Finally, you may want to contact your insurance representative. Depending on the extent of the damages, your homeowners' policy may cover some of your costs. After these three steps have been completed, you can turn the power and the water back on. Although a leaking water heater is an unpleasant experience, it may lead to valuable information about how to protect your Candler,NC , home in the future. 3/23/2019 - How Does a Vendor Program Work? 3/19/2019 - What Happens to Wet Building Materials? 3/5/2019 - What Makes Mold Spread?